This post was inspired by a woman in the elevator in our building, who decided to regale us with a complex tale of woe, even though we didn't know her or begin the conversation. On Saturday morning, I woke up to hear voices. According to Eli, his sister was going to come over, spend the day, and sleep over. What I found when I stumbled out of bed was his sister--as well as his mother, father, brother, and brother's girlfriend. His mom made lunch and we all ate watching the lunchtime Globo News. I sat around with the women while the boys crowded around Eli's computer, playing computer games. I took Eli's sister to a book fair nearby, where we wandered around trying to find something decent, to no avail. We came back, got some delicious street popcorn, and watched Gossip Girl. Eli and his brother got back from their errands, and we went to the supermarket. Later, Eli's mom made hot dogs while his dad played computer games. We all sat around munching and watching the dinnertime Globo News, and in the end, they all wound up going home around 9pm. Well, it all started in 1912. It was a scorching hot summer day, and she was in labor. Her husband was working and he wouldn't be back until sundown. She began to panic. She sent her son into town to fetch the doctor and slowly lifted herself into bed. She waited for what seemed like hours as the contractions grew increasingly more painful. (Meu deus do ceu, it was just terrible) Finally, her son rushed in, the doctor in tow. She could barely breathe the pain was so intense, but the doctor coaxed her through it and soon she was holding her baby in her arms. He grew up in the company of his siblings, playing hide and seek in the fields. (and trying not to get in trouble, since he was notorious for playing pranks on the neighbors). When he was in his 20s, he met a girl and they married. They moved to a town nearby and started a family. They didn't have much money, but they got by. Tragically, they both died young, before their children were grown. (Poor little things!) Their two sons and daughter left town as young adults and headed south. They ended up in Rio de Janeiro, where they started their own families and settled down. One son married a woman from Minas (do you know Minas? It's a large state that borders Rio de Janeiro with lots of farmland and mineral wealth). They moved to the far south of Brazil, near Argentina, where they lived for several years amongst the gauchos. (It was so cold there, the winters were just brutal). There, they had their first son, and then had two more children after they moved back to Rio. Their two sons were little devils growing up, getting into mischief at every possible opportunity. (Deus que me perdoe, they threw baby chicks off the roof. Don't even get me started). But they grew up and grew out of their old ways. Their oldest son met an American girl and they fell in love. She moved to Brazil and they moved in together. (Though his parents weren't as happy to let him go, if you know what I mean). They lived together for a year, and she went home for awhile while he traveled in Europe. When they came back to their old apartment, they discovered they had to move, and eventually found a new place to live. One day, a rainy Saturday near the end of 2008, the whole family went over to their new home and spent the day together, eating and enjoying each other's company. (Que pena that their new apartment is short on forks, but they managed.) And it was good. As a brief preface, I'm very grateful that I have so many wonderful readers, most of which are open-minded and tolerant people. Unfortunately, that's not always the case. So my post on the word judiar not only sparked a small debate on my blog, but a much larger and much more disturbing discussion on LLL. Alex, the author, proposed that judiar is not only offensive, but has its roots in antisemitism and the discrimination Jews encountered as far back as medieval Portugal. He also gave a really interesting summary of some other words of antisemitic origin used in Portuguese, such as rabino (rabbi), which means mischievous or naughty, semítico (Semite/Semitic), which means stingy, and judiaria, (from the word Jewish, or Jew), which means cruelty or mistreatment. As a result, some readers told him the post was pointless and irrelevant, while others decided to declare how much they hate Jews and to spew a boatload of misinformation, stereotypes, and incredibly offensive statements about Jews. (I think there was even one Holocaust denier in there) So as a result, it became pretty clear to me that antisemitism is much more common in Brazil than I originally thought, as much as Brazilians like to think they live in a racial and religious paradise. Frankly, I was shocked and disgusted to see what Brazilians had said. It's funny that some Brazilians appear to have a great distaste for being politically correct, but at the same time,they're blatant racists and bigots, and then yell at people for "whining" about being PC. My take? It seems to me that many Brazilians have an extremely hard time not only accepting criticism about their country but also acknowledging deeply ingrained problems in their society. I've encountered Brazilians aware of these problems, but encountered very few willing to confront them. It's simply easier to pretend these problems don't exist to get by each day and to try to move on with life. It seems to me that since Brazil has had such a troubled history, denial has become an integral part of the national psyche. ..something I'm sure some Brazilians will be quick to deny. So I know my American readers are probably exploding by now in a post-Thanksgiving stupor, but today I'm going to talk about street food. Normally, I avoid street food at all possible costs, with an exception for New York pretzels and hot dogs. Since I've gotten very sick throughout Latin America from regular food, I always protect my sensitive digestive system from the unimaginable germs of street food. But in Rio, I've made many exceptions, since this city happens to have excellent street food. The Soup Lady: there's a lady who has a stand in our neighborhood that sells three kinds of soup. She sets up shop in the afternoon, around four o'clock, and stays there until she finishes selling her wares. We've sometimes passed by at 6 and she's already out of two out of three kinds that she sells. She normally has pea soup with ham, caldo verde (a type of traditional Brazilian soup), and a third I can't recall. Whenever I pass by, there are always people sitting on the ledge behind her stand, slurping soup from plastic cups set in bright-colored plastic bowls. She charges more for take-out. The Tapioca Sellers: all around the city, you'll find people with small stands making tapioca crepes. They keep the ingredients in tupperware containers and have a small stove hooked up to a small gas pump that they keep under the stand. What they do is take tapioca, which is white and grainy, and fry it up on a pan like a crepe. There are dozens of options, both salty and sweet. You can get more of a lunch-y crepe, with cheese, meat, and vegetables, or a dessert-y crepe (my obvious preference), with bananas and cinammon, sweet cheese and guava paste, or strawberries and Nutella, to name a few. 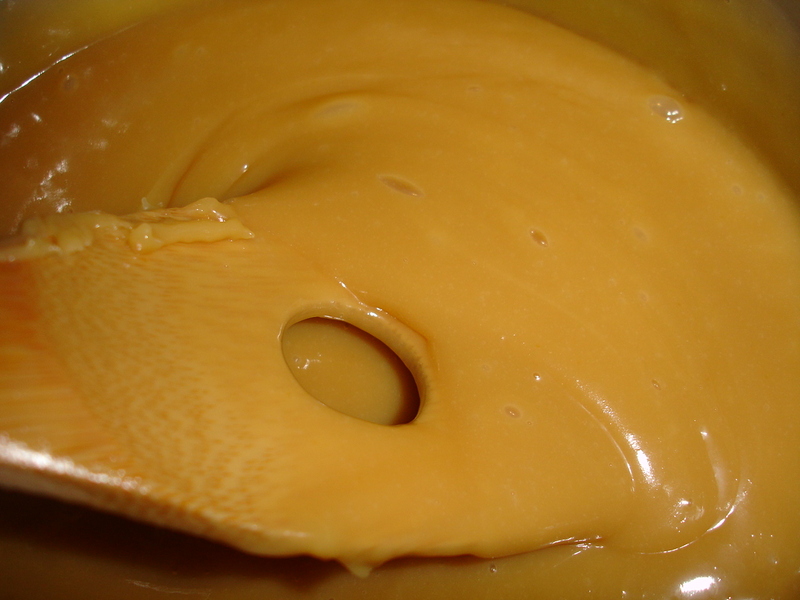 You can also add a dollop of condensed milk if you're not satisfied with the sweetness. I've seen both men and women in this job, and they always seem to keep their stands and pans completely spotless. I get a huge kick out of watching them flip the tapioca pancake like a small pizza. 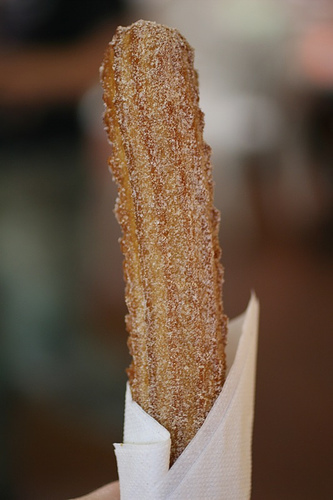 The Churro Men: a popular treat throughout Latin America and Spain, I ate so many churros in my first few months in Rio that it was kind of gross. Basically, it's fried dough sprinkled with sugar and filled with either chocolate, guava paste, or doce de leite. The shape is a little awkward, as you can see in the photo above, but you quickly forget about that once you take a bite. The Pipoca Men: All over, you'll find guys selling freshly made popcorn. They usually divide their carts into two sections: the salty popcorn and the sweet popcorn. The salty kind is sometimes cooked with chunks of sausage-like meat, which makes me gag, but otherwise is just made with insane amounts of salt. The sweet kind is caramelized. Mmm. The Cuscuz Guys: These guys are harder to come by, but their wares make my mouth water. 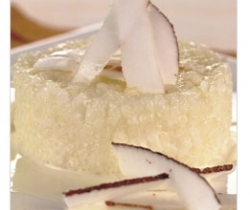 Cuscuz is a dessert made with tapioca and coconut that has a pudding-like consistency, though it is often baked in rectangles and small squares are cut from it (from street vendors, anyway). They offer to put toppings on it, which usually means condensed milk. So. much. sugar. The Sweets Ladies: Undoubtedly, my favorite street food vendors are the women selling homemade candy and chocolates. Depending on the vendor, they sell bonbons, truffles, brigadeiro (a traditional Brazilian dessert made from powdered chocolate), beijinhos (another traditional dessert made from condensed milk and coconut), cocada (a Brazilian treat made from coconut shavings and lots of sugar that come in various flavors), pe-de-moleque (a peanut treat), and other delicious chocolate concoctions. Coming soon: the street foods I definitely do not make an exception for. I saw this ad for Santander/Banco Real Group in VEJA this week and I loved it. It's simple, cute, and just a tad heartwarming. Sure, it's a little generalizing, but the overall idea is a good one. But I was struck by one thing, and I'm wondering if it was an accident or some sort of subliminal message: why are three out of the four white kids red heads? Ladies and gentlemen, I've been enlightened. I finally know what career I want. I want to be a fruit detective! Ok, not really, but I really want to try that cotton candy bean thing. Once in awhile, I hear the verb judiar used in regular, colloquial Portuguese, and it always makes me raise my eyebrows. I decided to do some research and find out the deal with this word. Judiar comes from the words judeu and judia, which mean Jew or Jewish. The word means to mistreat, harm or torment someone. According to one source, this word originated from the historical mistreatment of Jews. The same source quotes Rabbi Henry Sobel, who said the word is not anti-Semitic because it refers to how others mistreated the Jews, not the other way around, and therefore helps to spread awareness about Jewish history and the tribulations the Jews suffered. Another source, however, points to an article about the Portuguese language, claiming that the original meaning of the word was to specifically mistreat Jews. But, somewhat paradoxically, he claims that the current meaning refers to the Jews as the "agents" of the cruelty being inflicted. The source argues that even though judiar has become a part of Portuguese, it is offensive and helps to spread antisemitism. When I literally translate this verb to English, as I did in the title of the post, the result isn't exactly positive-sounding. But I'm hardly an expert on Portuguese etymology, so if anyone knows more about this word, please leave a comment! Não tenho tempo nem paciênca para fazer uma versão do blog em português, mas resolvi criar um espaço para discutir e trocar idéias cada semana em português. Vai aparecer na Rede Parede, e toda semana vou postar o link para a pergunta de discusão. Apesar do que meu publico alvo fale inglês, eu achei que seria divertido fazer uma atividade em português para meus leitores brasileiros. Esta semana trata do futebol brasileiro e suas preferências de time. Clique aqui para participar! I don't have time or patience to make a Portuguese version of Rio Gringa, but I decided to start a space to discuss and exchange ideas each week just in Portuguese. This discussion will appear on Rede Parede, and every week I'll post the link to the discussion topic. Even though my target audience is English-speaking, I thought it would be fun to sprinkle a little Portuguese every so often.